The Golden State Warriors will celebrate a milestone in the construction of the Chase Center, their new home in San Francisco, Friday. Christie Smith reports. The Golden State Warriors celebrated a milestone in the construction of the Chase Center, their new home in San Francisco, Friday. The back-to-back championships were joined by the Mortenson l Clark joint venture team, who is building the arena, and more than 1,200 construction workers as they celebrated the completion of the steel erection of the venue. "Now seeing the building up the way it is I think you get a sense of what an amazing project this is, I think this is going to be the most amazing arena in the world, it’s going to stand toe to toe with the 02 in London, Staples Center, with Madison Square Garden in NYC," said Warriors President Rick Welts. The Warrior’s president, project director and the chief operating officer spoke at the topping out ceremony before signing the final beam that was be lifted into place at the end of the celebration. "I signed my name the date and my daughters name," said worker Robert Santos. "I got the chills we’re going to be here forever my daughter and I on this monumental area what more could you ask for especially when you’re born and raised here that means a lot." 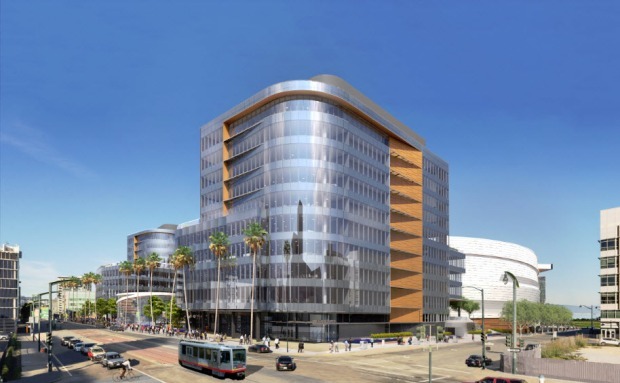 Welts said that even with AT&T Park close by and the booming growth in the Mission Bay neighborhood, he is confident in the plans to mitiate potential traffic jams. "Traffic plan I think looks at every possible outcome we have addressed in advanced and we will adjust as time goes on but I think we’re really confident in the traffic plan," he said. 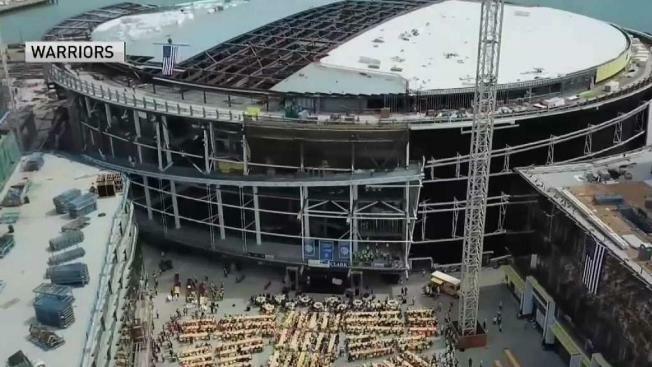 The Chase Center is expected to be completed in September 2019.